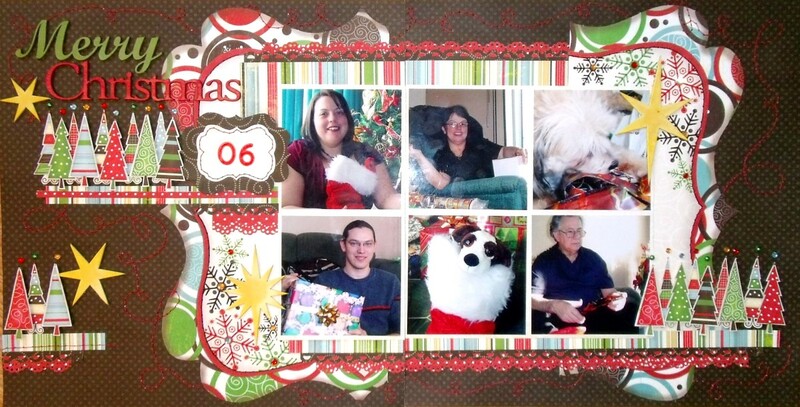 The Paper Variety: It's Christmas time at TPV! And something new, too! It's Christmas time at TPV! And something new, too! Be sure to scroll down for a super special announcement! It's summer - hot, humid and sunny! Jingle bells! You know, deck them halls and all that stuff. And we even have a Christmas gift for you!! We can't wait to see all your Ho-Ho-Holiday paper projects! 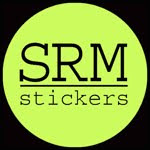 We are so thrilled to welcome a new sponsor this week! Join us on Friday when we share more about Scraptastic Club! 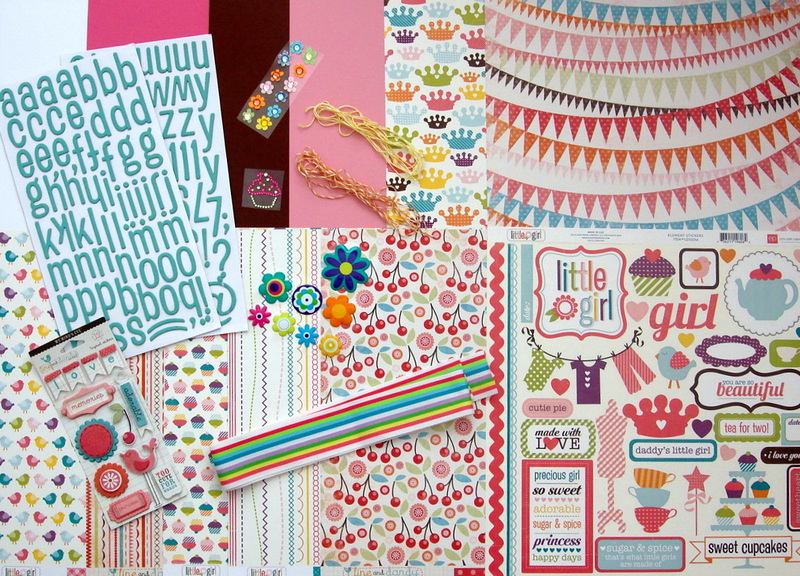 Jessica from Scraptastic Club has kindly donated this SUPER SWEET scrapbooking kit! 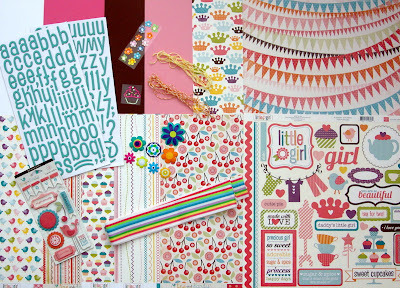 Such a cute collection including Echo Park, My Mind's Eye, American Crafts and other great supplies! We understand it might not be easy for you to find some holly jolly mojo. Christmas photos are a rarity in our house due to the fact I'm the photographer and busy during the holiday festivities. This is probabaly one of the only ones from last year. My "sister" Mia (my parents new dog), her first Christmas present. I used Echo Park paper for this. 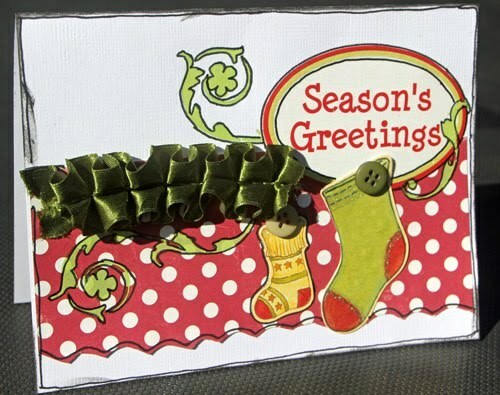 I'm not really a card maker but I somehow missed taking heaps of photo's from last Xmas....so hence the cards. Used a card kit that I had in my stash along with some rubons. It was fun doing something Chrismas-y right in the blooms of Summer! I have tons of Christmas pictures from years past that i haven't scrapped yet, so this was a good start. I love the bright colours of this BoBunny collection - perfect match for my very colourful photos! This was my very first Christmas page ... EVER! 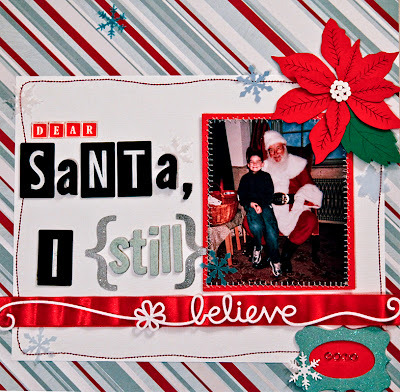 Since I'm one of those rare, childless scrappers, I had to borrow a photo from my dear friend, Tracy ... this LO turned out much simpler than I'm used to doing, but I think it was a lack of Christmas stuff in my stash that lead to it! 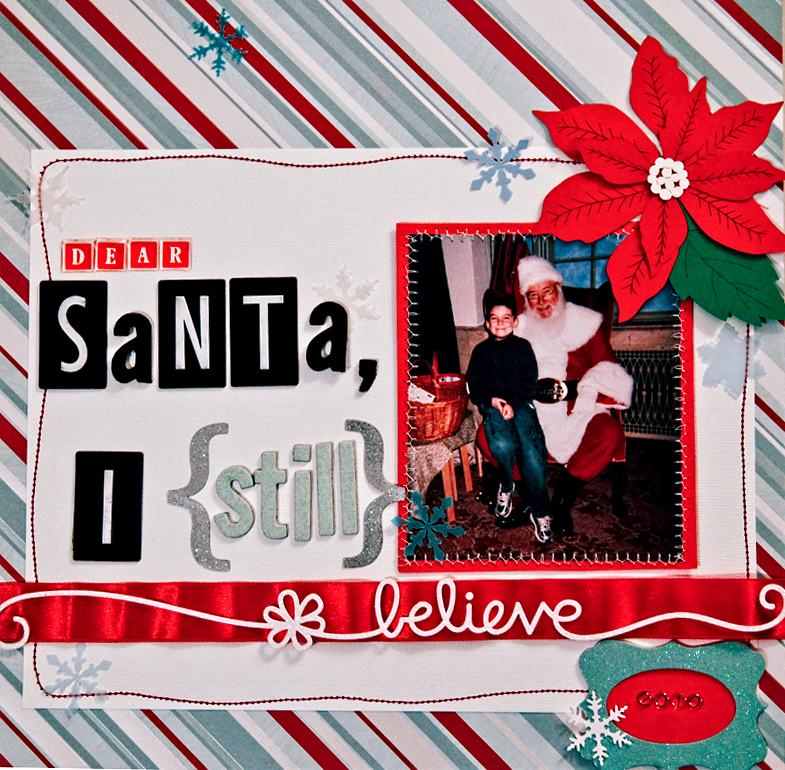 I did so many Christmas pages last year, that I don't have many photos left to scrap. 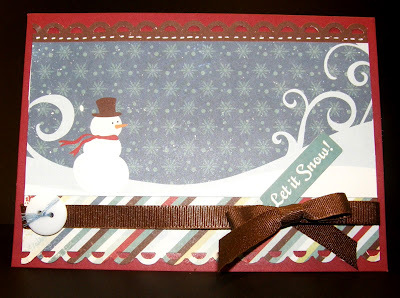 I made this card using Echo Park's Wintertime. I love the fun snowman. The Paper Variety will now be inviting one challenge participant each week to join us as a Guest Designer!! Your TPV project, short bio and blog link will be featured with our design team on our challenge reveal day! Woohoo! 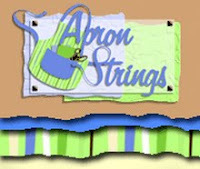 Would you like to be chosen as a Guest Designer? Unlimited entries to our InLinkz below - this week only!! It's our July Christmas gift to you!! Fabulous layouts ladies and the prize is awesome also!!!!! Fun way to play on Facebook! Can't wait to start seeing all the wall posts :). Great Christmas projects, ladies! Wow! What a great surprise today! The GD idea is very neat! Great challenge and great work by the DT! Love all the design DT -- Great job!!! Thanks for the fun challenge! It makes me excited to go Christmas shopping!!! Ho ho ho this bee has been bzzz making Christmas cards and have now entered 3 as of 7/8 3:50pm CT.
hi ladies beautiful layouts and cards. Thanks for a wonderful challenge!! The DT projects are beautiful! Great designs by the DT!! whew! made it to FB with two minutes to spare!! Fantastic projects! So much inspiration.